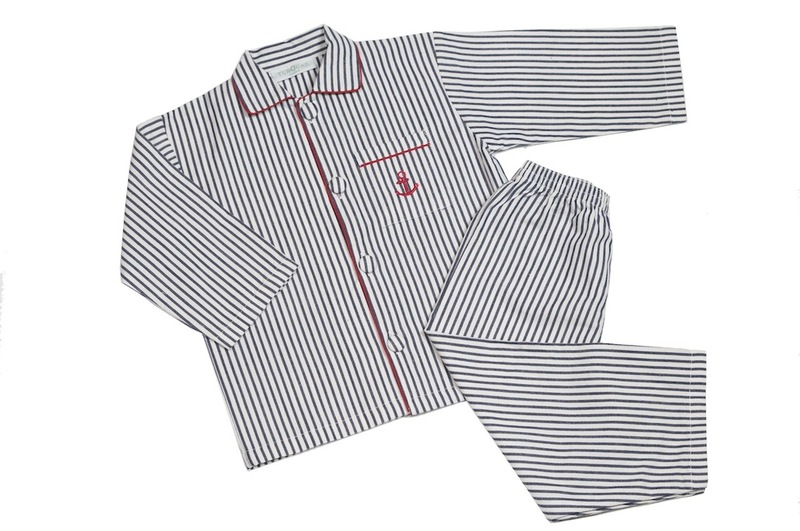 The Turquaz* Newport Pyjama Set is a cute navy and white pinstripe with red piping and an embroidered anchor on the breast pocket. Materials: 100% Cotton. Fair Trade. Turquaz* is a Fair Trade Company. Designed and crafted by a fair trade company mean you receive the finest product at a reasonable and fair price.